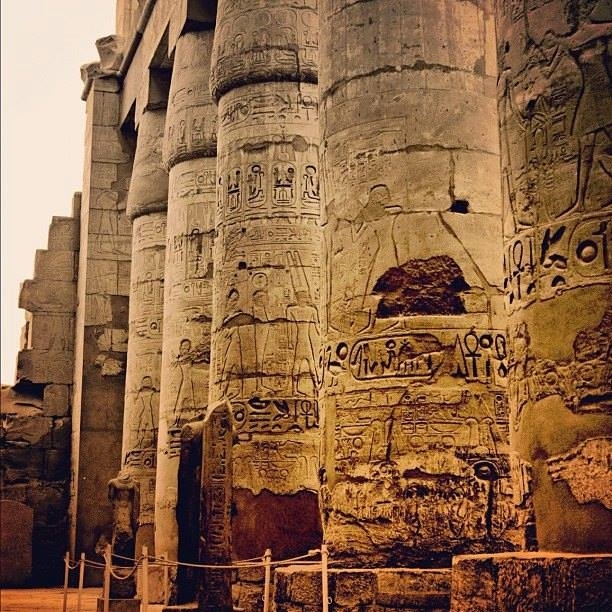 Karnak Temple in Luxor, Upper Egypt, is often considered the more restored and original structure than Luxor Temple. However both Temples hold their own unique history. 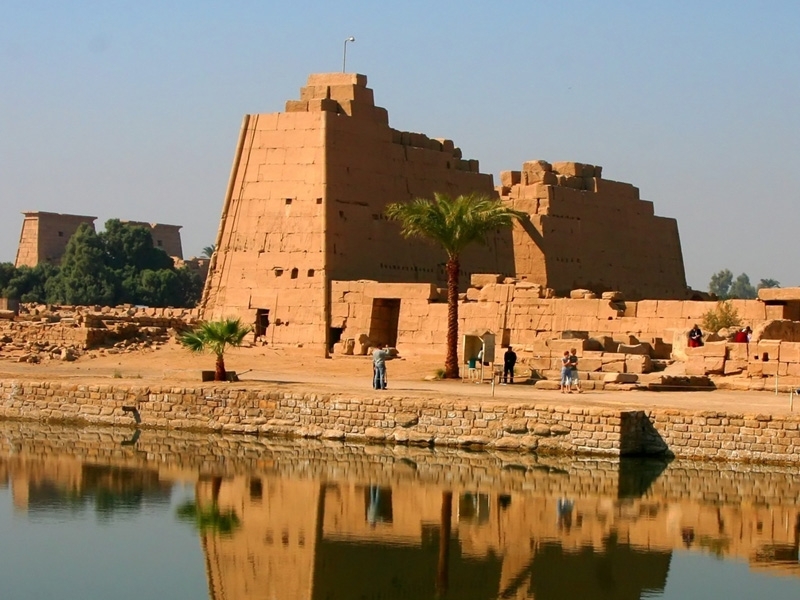 Karnak Temple is situated next to small Karnak Village along the Corniche on the East Bank, a short walk from Luxor Temple and the city of Luxor. 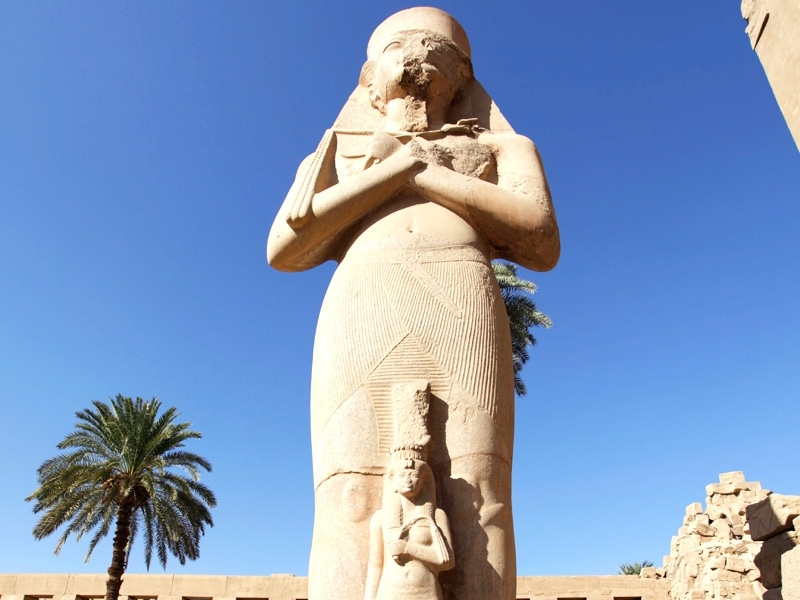 Karnak Temple has many functions,It also an important acted as an intellectual centre, a spectacular complex of Temples, Chapels, Pylons, Obelisks and Sanctuaries covering more than 400 ha (900 acres) – enough space for 10 Cathedrals. Every pharaoh of note built, destroyed, enlarged, embellished or restored part of the complex to express his devotion to Amun. 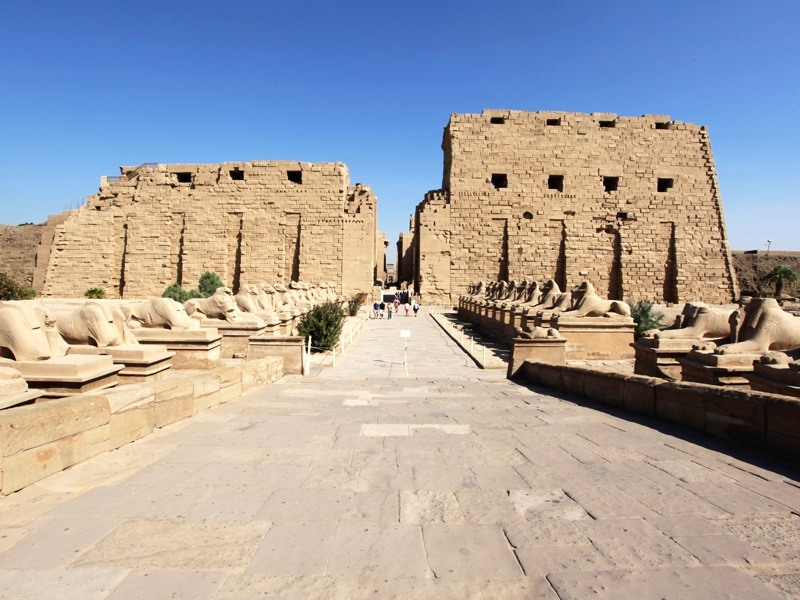 In the process, Karnak became one of the largest and most magnificent Temple complexes in the ancient world. Behind the Second Pylon lies the 13th-century BC Great Hypostyle Hall-an amazing forest” of more than 140 tall papyrus pillars covering 5,500sq m (59,200sq feet), built by Seti I and his son Ramses II. Beyond the Hypostyle Hall lies a rather larger and more confusing section of the temple, built during the 18th Dynasty (1550-1295 BC). In the courtyards beyond the Third and Fourth Pylons are the finely carved obelisks of Tuthmosis II and, farther on, of the female pharaoh, Queen Hatshepsut (1473-58 BC). The tip of her fallen obelisk lies on the way to the Sacred Lake. 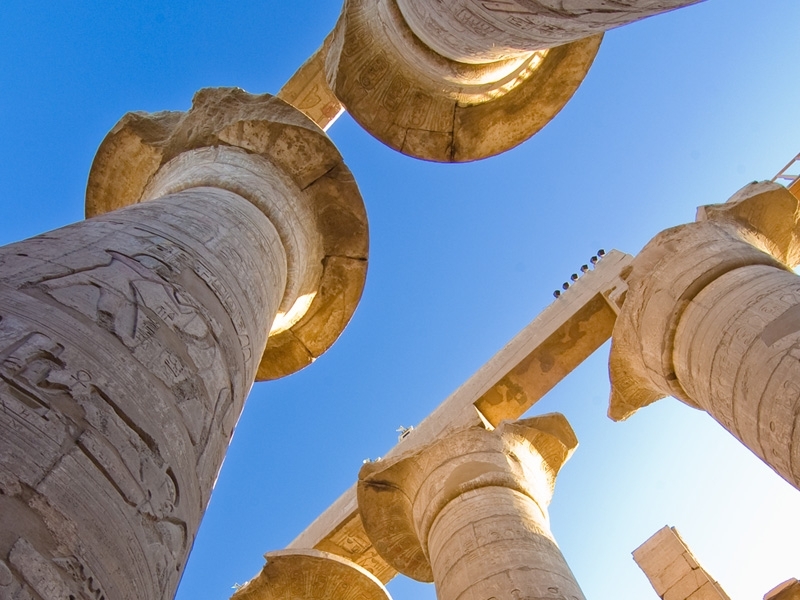 Past the Sixth Pylon stand two elegant pillars carved with lotus and papyrus flowers, symbolic of Upper and Lower Egypt, and the granite Sanctuary of Amun, built by Philip Arrhidaeus, the half-brother of Alexander the Great. This is where Amun’s effigy was kept and where, as the images on the walls show, daily offerings were made in his honour. Beyond lies a large Central Court and the Jubilee Temple of Tithmosis, where the king’s vitality and authority was symbolically renewed during the jubilee. It’s interesting that this huge temple complex was only entered by the powerful priesthood; lay Egyptians were excluded and used intermediary deities, whose shrines they built against the temple’s enclosure wall. One such series of chapels, known as the Chapels of the Hearing Ear, lies at the back of the Jubilee Temple. Between the Third and the Fourth Pylons the temple spreads southwards along the side of the Sacred Lake. In 1903, in the Cachette Court in front of the lake, some 17,000 bronze and 800 stone statues were uncovered. The finest of them are now in the Egyptian Museum in Cairo.